Quinoa. How do I love thee? Let me count the ways! 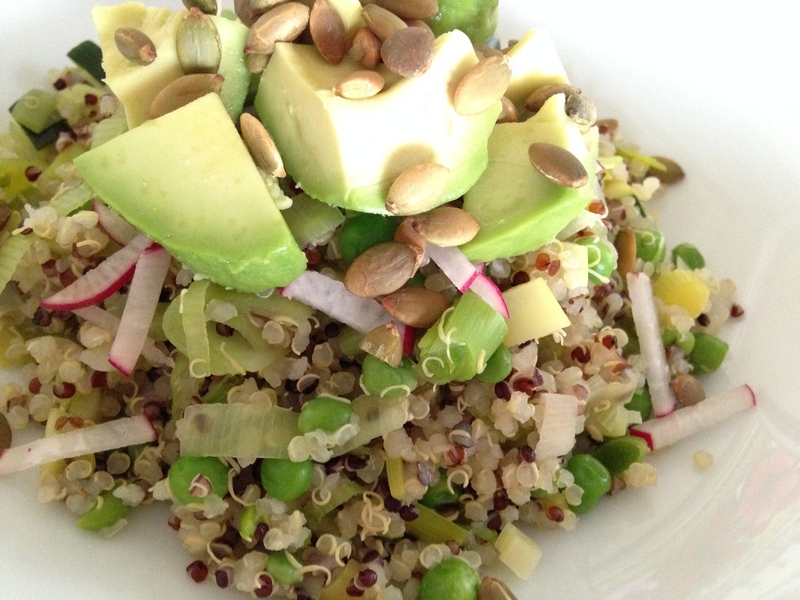 There are so many ways to prepare this super star grain/protein. Start with quinoa. Add lots of vegetables, nuts and/or seeds, fresh herbs, and a great dressing. Present as a stand alone dish, a side dish, or a stuffing. Also great to add into salads and soups. 1. 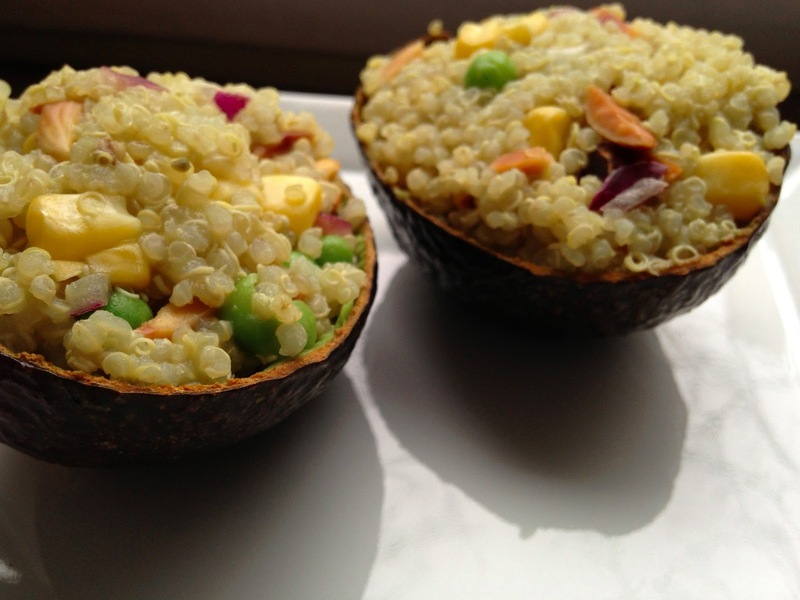 Quinoa Stuffed Avocados. 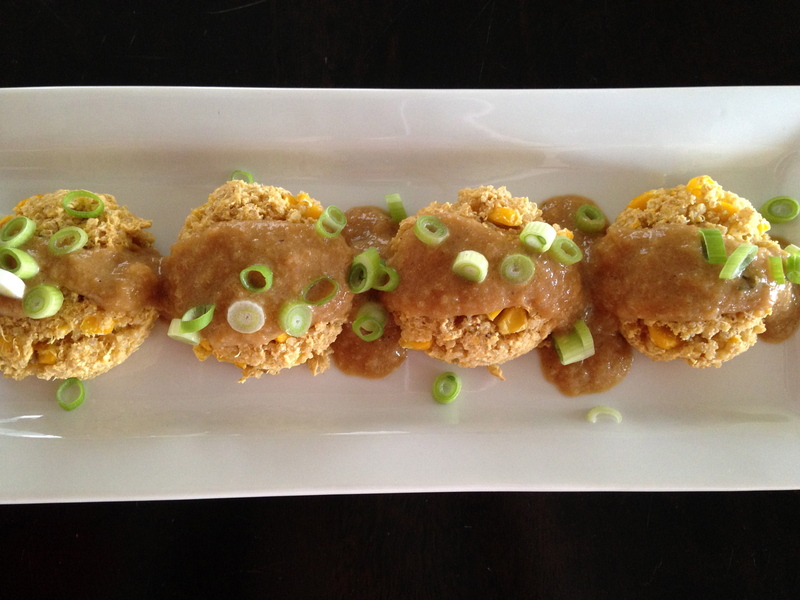 The stuffing is quinoa, corn, peas, onions, toasted almonds and avocado dressing. 3. 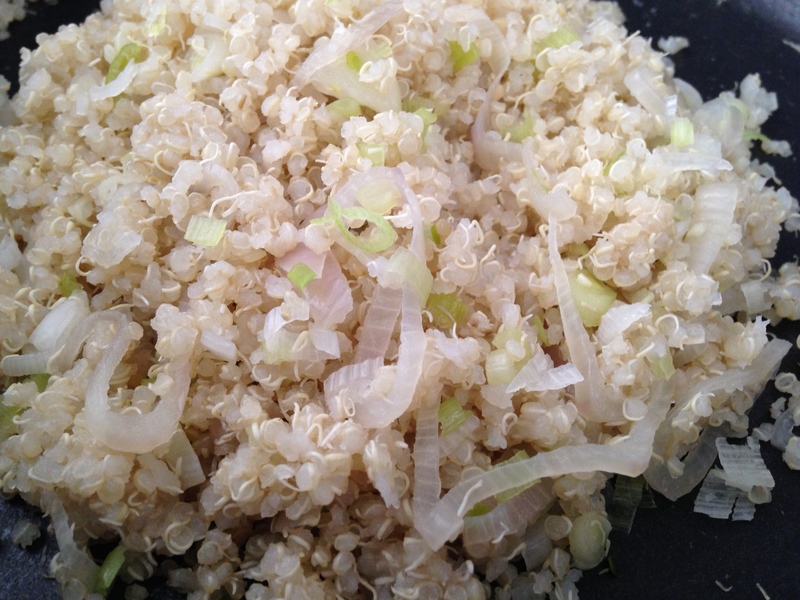 Quinoa with Spring Garlic & Shallots. Plain and just beautiful. 4. 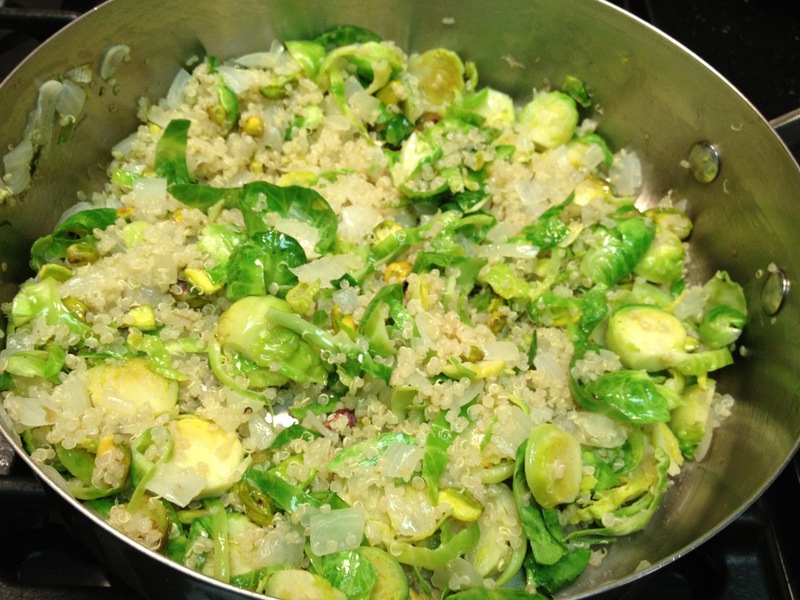 Winter Quinoa Pilaf. Brussels sprouts and pistachios. 5. Colorful Quinoa Pilaf. Onions, carrots and zucchini. 6. 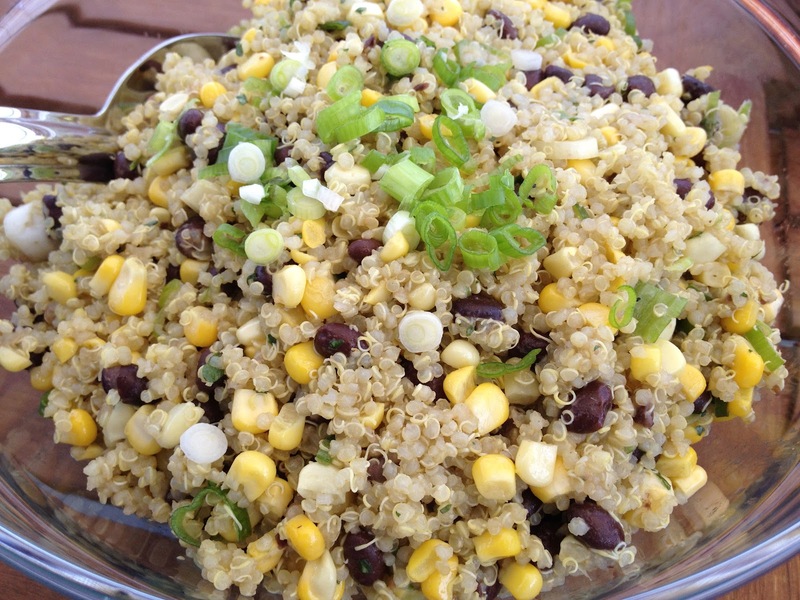 Quinoa with Corn, Black Beans & Avocado Dressing. A great dish on taco night. 7. 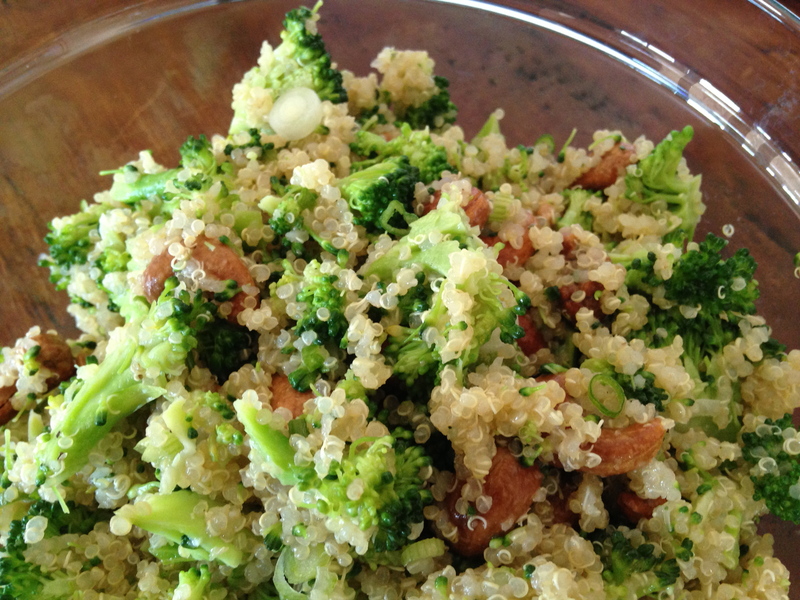 Broccoli Salad with Quinoa, Scallions & Roasted Cashews. 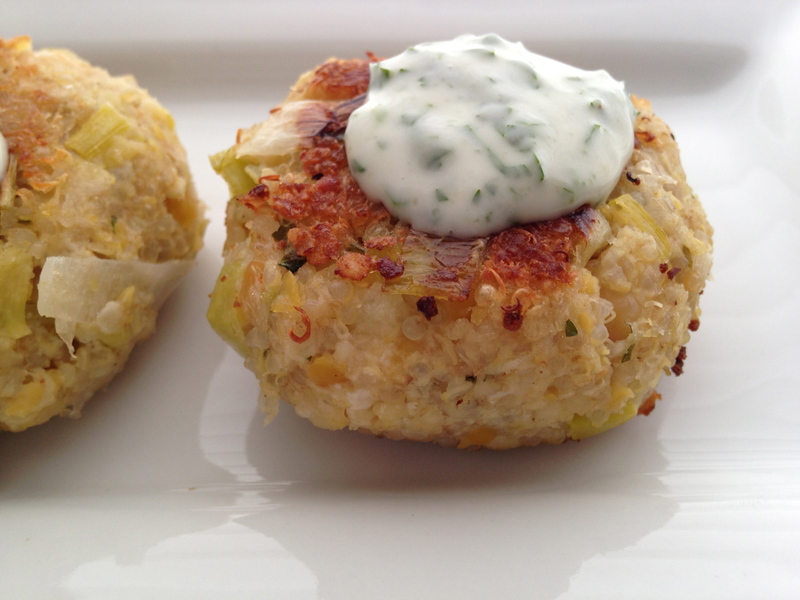 A flavorful way to serve broccoli. 8. 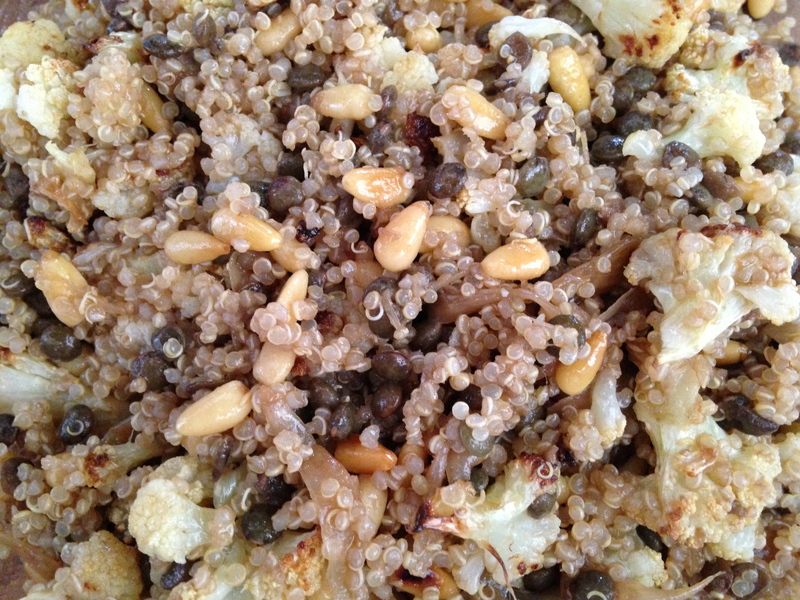 Quinoa with Roasted Cauliflower, Toasted Pine Nuts Dressed with Balsamic Roasted Garlic Vinaigrette. It’s all about the dressing! 9. 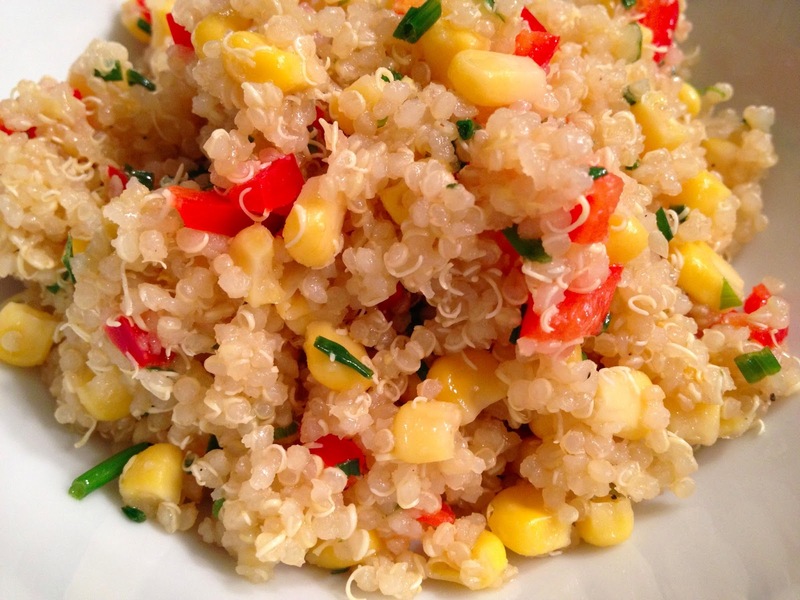 Red-Yellow-Green Quinoa Salad. Red pepper. Yellow corn. Green chives. Colorful! 10. Greek Inspired Quinoa Salad. Cucumber, scallions and artichoke hearts. 11. 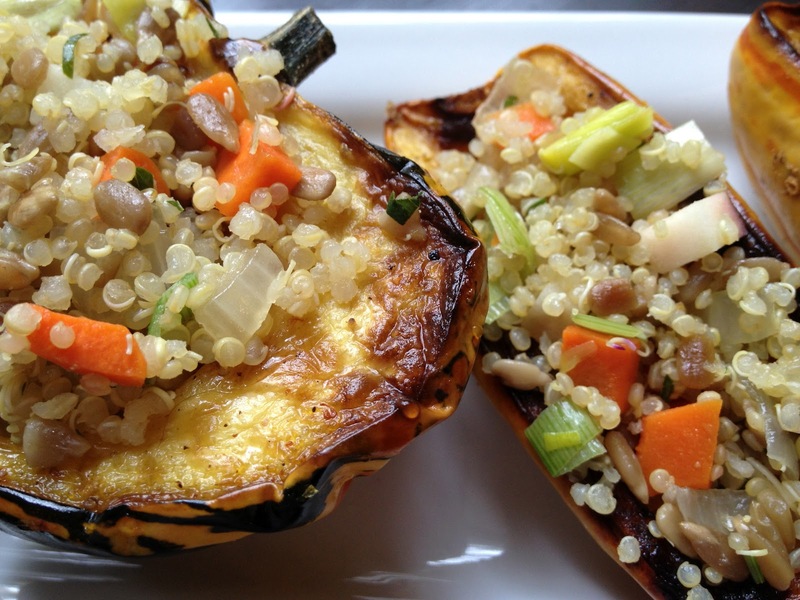 Roasted Squash with Sunny Apple Quinoa Salad. With onions, carrots, leeks, apples and sunflower seeds. 12. 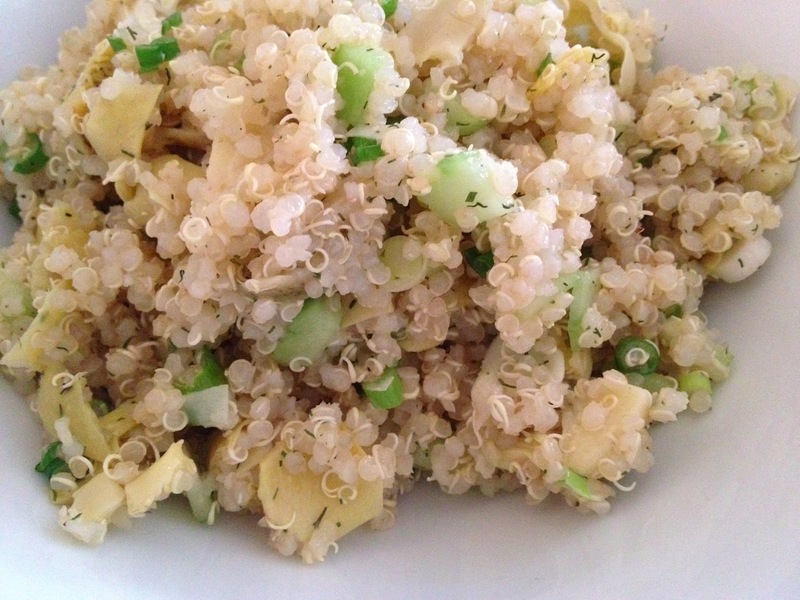 Mint Quinoa Pilaf. Fresh mint and scallions. 13. Green, Corn & Summer. 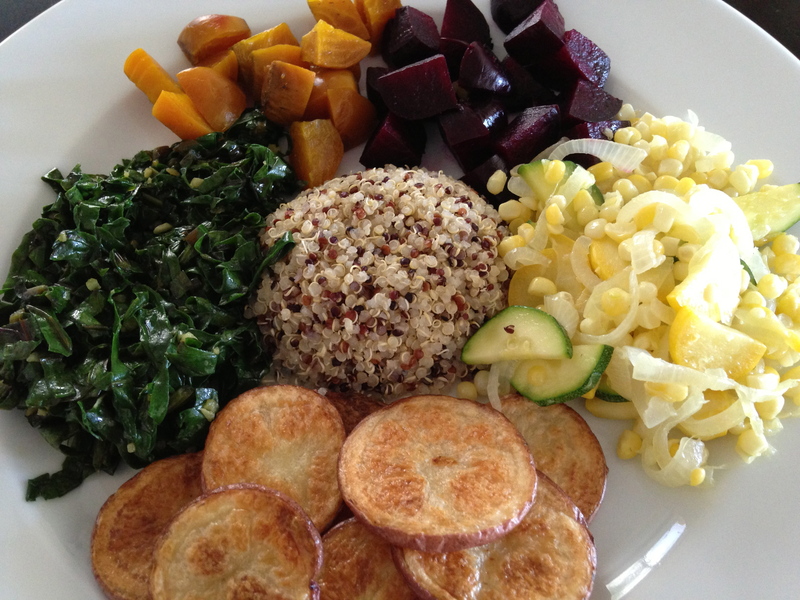 Just a simple presentation with quinoa as the centerpiece. 14. Croquettes. I love all of these little guys and many of the dishes on this roundup could be turned into a croquette. 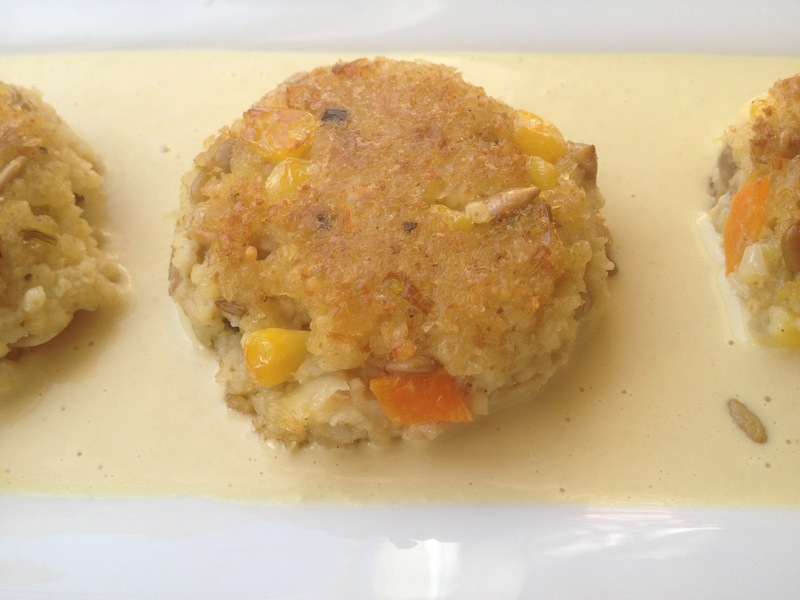 * I know millet is not quinoa but I could have used quinoa in these croquettes. 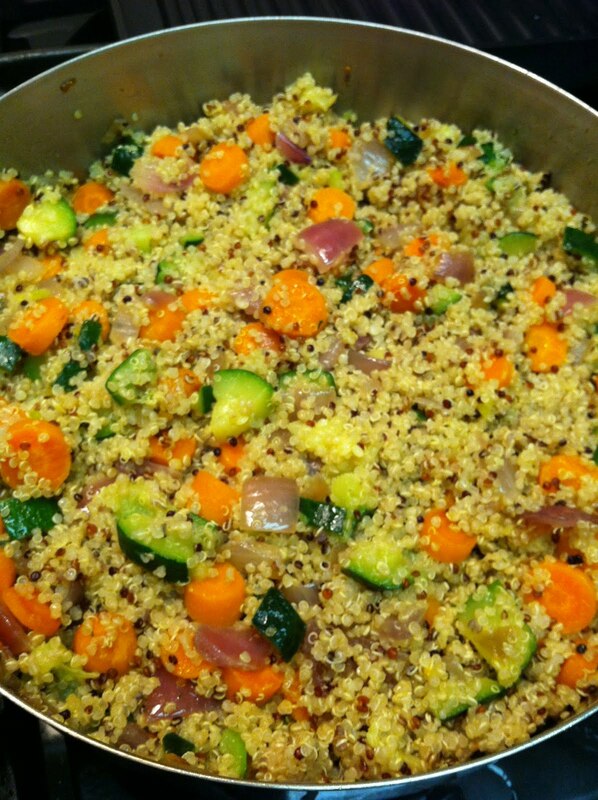 Or millet could be used in place of quinoa in any of the dishes in this roundup. 15. 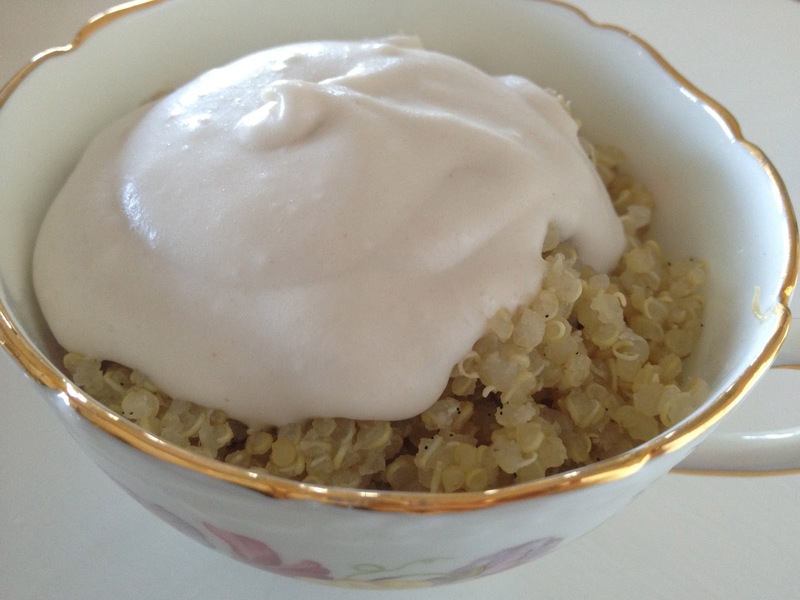 Sweet Vanilla Quinoa. 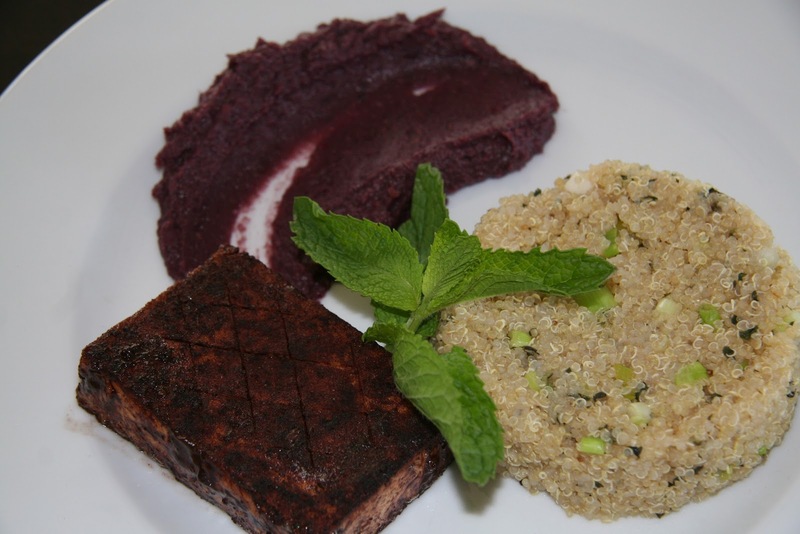 A totally different way to use quinoa.